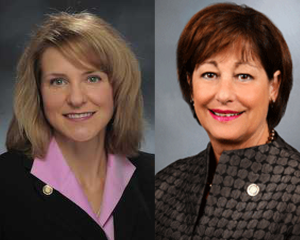 State Senator Jill Schupp (D-Creve Coeur) and Representative Tracy McCreery (D-St. Louis) want to create a family and medical leave program that would allow up to six weeks of earned leave time annually. “Whether it’s having a child, adopting a baby, bringing in a foster child to your home, reasons that parents need to stay home with their children,” said Schupp. Employees would be required to give annually to the fund – approximately $125 for someone making $50,000 a year. “We really see this earned leave benefit as something that helps not only the working people of the state of Missouri, but also the employers. We see it as a win-win for everyone,” said Schupp. A person would have to work for an employer for one year before being able to use the leave time.